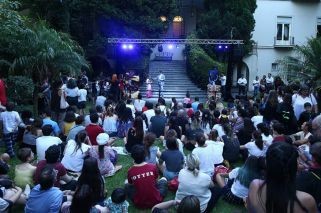 Pointy hats and long black cloaks filled Embassy gardens for the enchanting annual event Thursday. 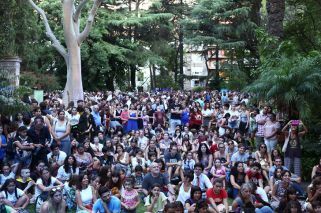 A long line of porteños stretched down a hill outside the British Embassy on Thursday evening. 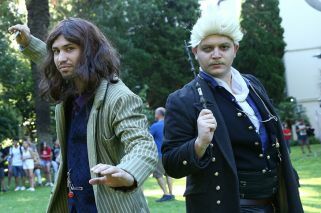 Long black cloaks and tall, pointy hats stood out from the usual summer fashion, and many had swapped their summertime sunglasses for round, black spectacles. 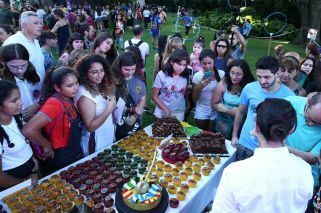 While onlookers gawked at the costumed crowd, those in line knew that magic awaited them beyond the doors. 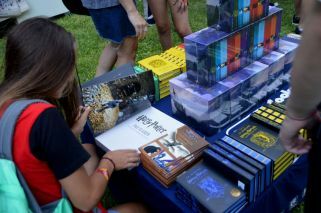 Over 1,500 fans turned out on Thursday night for the Embassy’s fourth annual “Harry Potter Book Night,” an event dedicated to UK author J.K. Rowling’s famous book series. 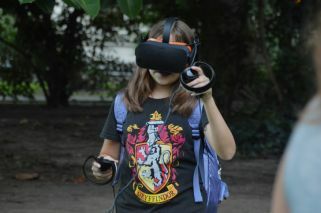 For a few fantastic hours, fans could test their spell-casting skills in virtual reality headsets, play trivia games, and pick up their broomsticks for a game of the fictional sport “Quidditch." 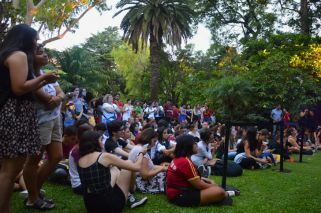 Cities around the world host similar book nights of their own to celebrate the series every February, British Ambassador to Argentina Mark Kent explained. 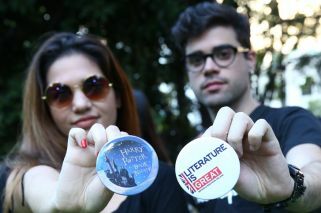 "It’s got the objective to encourage more children to read and also for us it’s a good opportunity for people to get to know British culture and British literature," he told the Times. 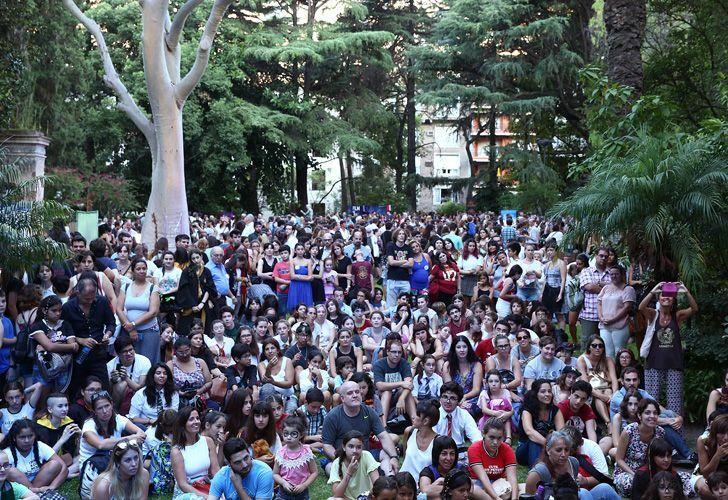 Argentines once again proved their enthusiasm for the British series, which has been translated into Spanish and adapted into an blockbuster film franchise by Warner Brothers. Charms and potions aren't just for kids in this Recoleta wizarding world though, as fans of all ages came out to celebrate the seven-book series that got its start in 1997. 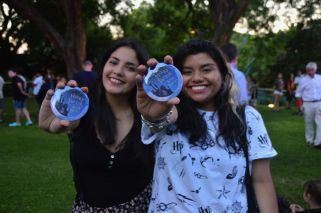 Karen, 24, and Barbara, 23, pictured above, were first-timers at the event this year. The friends and long-time Potter fans from Buenos Aires said they are still enchanted by the wizarding world. 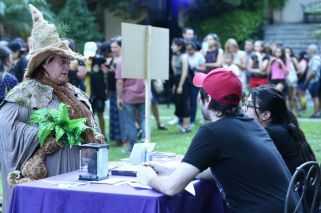 Barbara wore her best Harry Potter garb to this year’s event, a shirt sprinkled with Potter logos and figments of Rowling’s imagination, like the “sorting hat” and “golden snitch.” She said she’s wanted to attend the event since it started, but could never find a friend to come along with her. 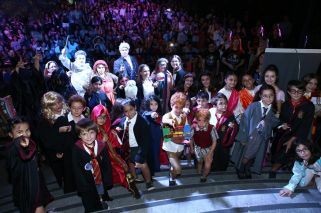 For Karen, the most magical part of the night was seeing how kids learn to love reading through Rowling’s stories. Youngsters impressed with their costumes in the annual costume contest that closed out the event. 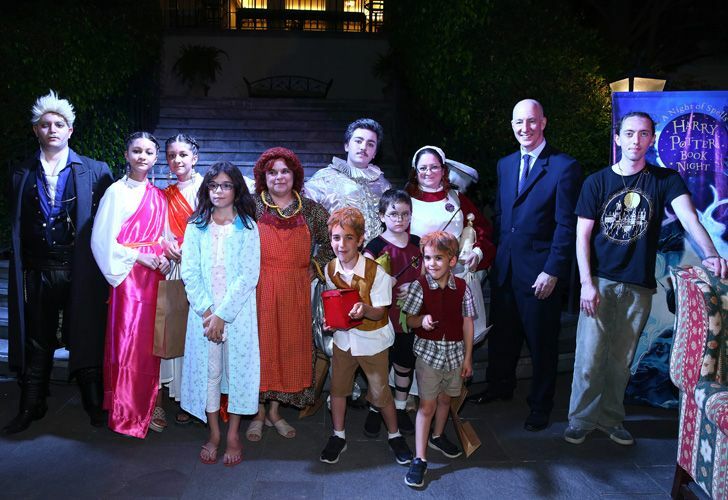 Two sets of notorious wizarding twins made an appearance, as kids dressed to the likes of both Parvati and Padma Patil and Fred and George Weasley. 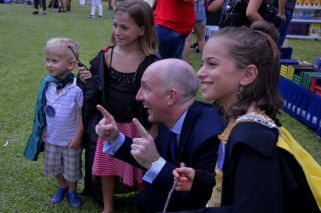 Kent and other Embassy officials interacted with guests until the curtains closed. While Kent says he loves making friends with fans each year, he has a sigh of relief when the last spells have been cast. His highlight, he confessed, is “when I can take my jacket off, when it’s all over."